Despite California’s wealth and agricultural prosperity, over 5 million of our residents live in fear of hunger each day. 1.2 million Californians regularly don’t get enough to eat, and 3 million children would be hungry if not for the free or reduced-cost meals they receive at school. That’s why Beverly Hills Transfer and Storage has partnered with Move for Hunger to support the Foodbank of Southern California. When people move, they invariably end up cleaning out their pantries. Rather than throw away or ship your unwanted food, why not donate it to a worthy cause? Pack your unwanted non-perishable food in this box. Or if we’re packing you, tell us what to donate. If you need more boxes, just ask. On move day, we’ll make sure your donation is delivered to the Foodbank of Southern California free of charge. Move for Hunger is a non-profit organization that works with moving companies across the country to support the efforts of local food banks. 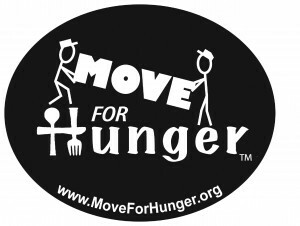 For more information, call 732-774-0521 or visit www.moveforhunger.org. ecollective: want to recycle your used electronics? Why move your out-dated, poorly working, or broken electronics? You can recycle them instead! Moving is a great oppotunity to get rid of waste and to help the environment at the same time. Ask your Move Consultant for a donation form or click here to go to our Forms page. For a local move, just send your unwanted electronics back to our terminal with your crew. For all other scenarios, including long-distance moves, call 310-999-6604 to arrange for pickup. We charge $50 for the first 10 items, then $5 per item beyond that. We safely store, transport, and recycle all electronic waste then donate all proceeds to Special Olympics Southern California. Habitat: want to donate furniture or building supplies? A/C & Heating: Whole house or window, less than 8 years old. Appliances: Clean and in working condition, less than 8 years old. Brick & Block: Neatly stacked and palletized, no broken pieces, minimum 25. Cabinets: Only complete and modular cabinets with all doors and drawers, standard and special sized, slight damage okay, already removed. Carpet: New and unused, room-sized pieces or larger. Doors: Interior and exterior, no broken glass or damaged wood, no hollow, slab doors, prefer hardware removed and bagged separately. Electrical: Fixtures, parts, supplies, slight damage okay. Exercise Equipment: In good, working order. Hardware: Knobs, hinges, locks, nails, screws, nuts & bolts and fasteners, separated. Lumber: 6 ft. or longer / 112 sheet or larger, free of rot, nails and screws, no scraps. Plumbing: Clean and in usable condition, fixtures, parts & supplies accepted, toilets should be completely clean and sanitized. Tile: Wall or floor, any size, boxed and clean, unbroken, minimum: 20 sq feet. Windows: Vinyl or wood, new construction and retro-fits with dual pane glass. 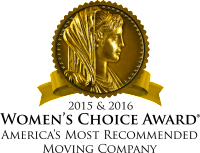 No aluminum-framed, single pane, broken glass or damaged wood frames. It’s easy. ReStore does all the work. To arrange a pickup, call 424-246-3637. There’s a $5 fuel surcharge per load, and of course your donation is tax deductible.